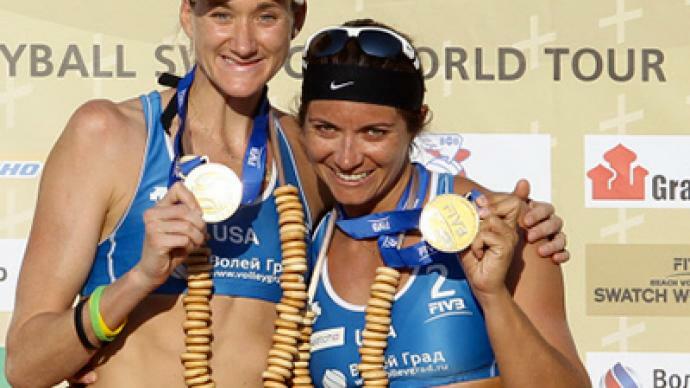 Misty May-Treanor and Kerri Walsh of the US have won the women’s gold medal at the Moscow leg of the Beach Volleyball World Tour. ­The two-time Olympic Champions needed around 40 minutes to collect a straight-sets win over Juliana Felisberta and Larissa Franca from Brazil. China’s Chen Xue and Xi Zhang finished third after beating Italy’s Greta Cicolari and Marta Menegatti in the bronze-medal match. 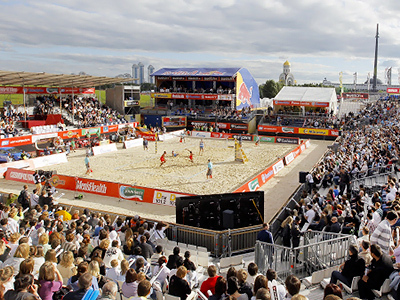 The Russian capital has hosted the event for the fourth consecutive year.